This entry was posted on January 22, 2015 by TemplatesMaster. In the current post we are glad to share short interview with founder of JacareSuplementos.com. 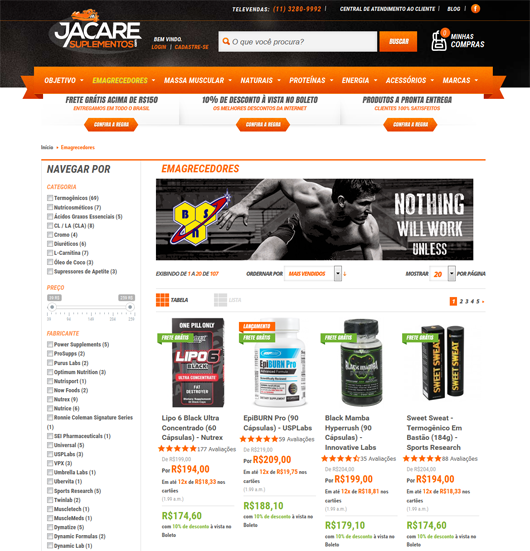 Jacare Suplementos store is selling sports nutrition supplements in São Paulo and Portuguese speaking countries. The site began in 2010 after identifying a need in this niche market for good supplements. We start with a more amateur layout and few were perfecting the layout to what we have today. The template master helped us a lot with modules for Magento where we could improve the experience with our customer. Can you tell us more about your business and e-commerce experience? 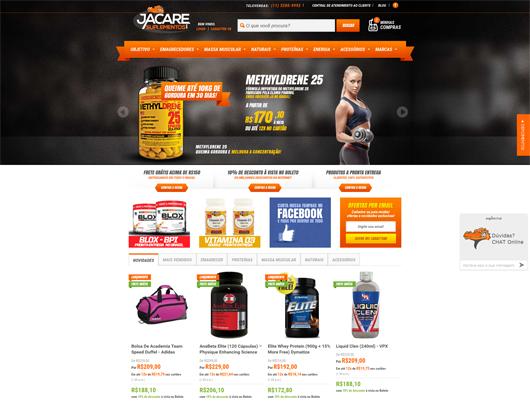 We decided to run our e-commerce site in 2010 after identifying a need in good supplements market. The layout we started with, was likely an amateur, made by ourselves. However we still use it with little improvements. We’ve had mostly positive experience with Templates-Master. Top-notch extensions work great. This company gave us so needed experience in dealing with our customers. Highly recommended! We choose Magento because it is the cheapest platform with fully resources that we need to do a great work to our customer, it has a lot of modules, professional. These guys help us to get the best out of our store. Long term support is available. Professional and useful modules, which were developed with clients’ needs in mind. Thanks a lot for reasonable price. Just believe you can do it! If your resources are limited, start with Magento, Argento it is a nice template to start a professional business, invest in SEO too. What is your favourite extension? What extension do you like more? - Our favourite extension is Firecheckout. It’s quick and easy setup, user-friendly interfaces. It’s really great magento module. We have been using it for a long time and we noticed the conversion rate of our store was increased in many times. What other extensions that are not available at Templates Master you would suggest to focus on? Sphinx Search for Magento of course! Yes, we’d like to offer 10% discount for Templates-Master clients. Save more with coupon TEMPLATEMASTER10!